Remove all RoboGuice injector calls in those classes. Again, simple stuff, just a matter of replacing the imports. Replace in Path, find import com.google.inject. and replace with import javax.inject. In the AppModule, I first wrote a constructor that took Context, so that I can provide that to all classes that depend on it. Here’s how we provide an instance of a hypothetical ApiService implementation, which depends on a PreferenceHelper class. Turns out that this is the right way to use Dagger to provide an implementation. Where’s the constructor call? In the generated code! Here’s the class definition for ApiService. There’s no @Inject on this constructor since this is an abstract class. This is ApiServiceImpl. This is where the magic happens. And PreferenceHelper is just a simple class with a @Singleton annotation up top and an empty constructor with @Inject annotation so Dagger knows this is a dependency to provide and its scope is Singleton. We have some @Inject calls in our Application class (probably should clean that up now) so we call inject(this) in it, and also all activities, fragments, and Android services. Basically, wherever we can’t use constructor injection. 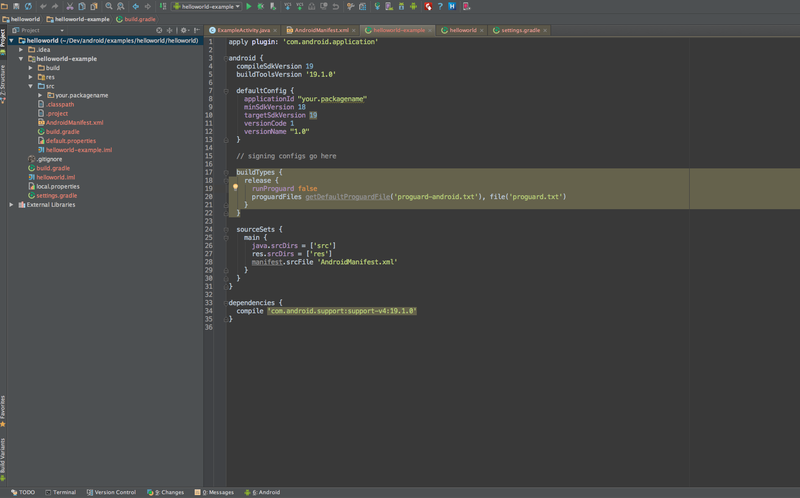 Time to build the app so Dagger can generate all the code using its annotation processor. And finally, use that code in the custom Application class. With this, at least the application class should be able to get its fields injected, but our Activities, Fragments, Broadcast Receivers, and Services still won’t. For that, we need to call inject(this) in those too. That’s why we have that static getAppComponent() method. So we simply call this in the onCreate method of all those classes (yes, fragments too because we might need to use those fields in onStart). So this works, but it creates a lot of factory classes for us. Turns out, class loading is pretty slow on Android and the system needs to do that every time the app has been destroyed and launched again. That means cold launch time, while slightly better than RoboGuice can still be improved. That, I will cover in the next part. Until then, you can watch this video about Dagger 2.12 optimizations.